Nothing of it. 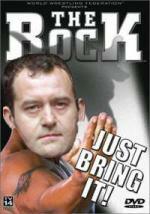 Paul Burrell surely knows there can be only true rock in Diana’s life. And when he says that the rocks Dodi Fayed gave Princess Diana “meant nothing”, we believe him. Expecting to hear Burrell in conversation with the ring – rocko-a-rocko – we turn the pages. “SOLVED,” says the Mail. “Riddle of the ring Dodi gave to Diana.” Readers get a look at the £3,000 Bulgari yellow band with diamonds Burrell says he was handed in the Paris hospital room where Diana’s body was taken. What then passed between rock and ring is now on matter of public record as the royal butler “REVEALS HIS LAST SECRET” in his latest book: “Diana, The Way We Were. Burrell relives the moment in the La Pitie-Salpetriere hospital in Paris. Nurse Beatrice Humbert approaches. “I think you should have this,” she says in “broken English. Something was pressed into Burrell’s hand. “I opened my hand and there was the gold band the Princess had told me about two days earlier,” he writes. “It was very plain and it didn’t strike me as custom-made as it was designed to adjust to fit any finger. That alone emphasises its lack of significance.” The rocks were “tiny pave diamonds”. Pah! There can be only one rock. The rest are mere loose chippings and pebbles with delusions of grandeur.